Governor Snyder welcomed Sir Kim Darroch KCMG, the British Ambassador to the United States, to Michigan today. The two met to discuss ways Michigan and the United Kingdom can work together to develop and promote electric vehicle technologies. Earlier this year, Governor Snyder signed a Memorandum of Understanding [links.govdelivery.com] with Minister Richard Harrington of the House of Commons of the United Kingdom to forge a partnership to strengthen the production of advancements in automotive technology and mobility. Today’s meeting builds on that partnership. The UK is also a world leader in tackling climate change, making it a strategic partner to help Michigan achieve its clean growth objectives. Since 1990, the UK has cut emissions by 42%, while growing its economy by 67%. The UK was the first country to set legally-binding carbon targets (in 2008), and recently set out a number of new and ambitious clean growth targets as a part of its Clean Growth Strategy , including ending the sale of all gas cars by 2040 and halving the energy use of all new buildings by 2030. As part of his #GreatGreenRoadTrip, the Ambassador is also stopping Indiana, Illinois, Wisconsin and Minnesota to facilitate greater ties with state and city governments, businesses, and research organizations across the region to drive action toward a cleaner and more economically prosperous future for both the US and UK. 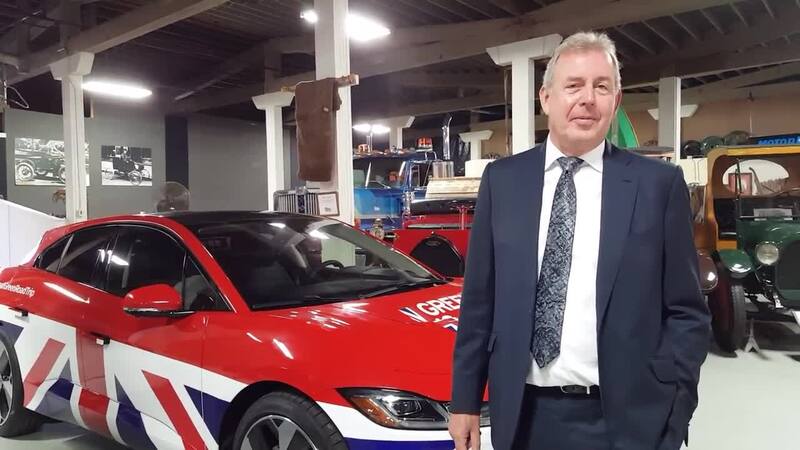 Ambassador Darroch is touring Michigan – including stops in Lansing and Grand Rapids – as part of a Midwest tour to facilitate ties between the UK and the region to promote clean energy.